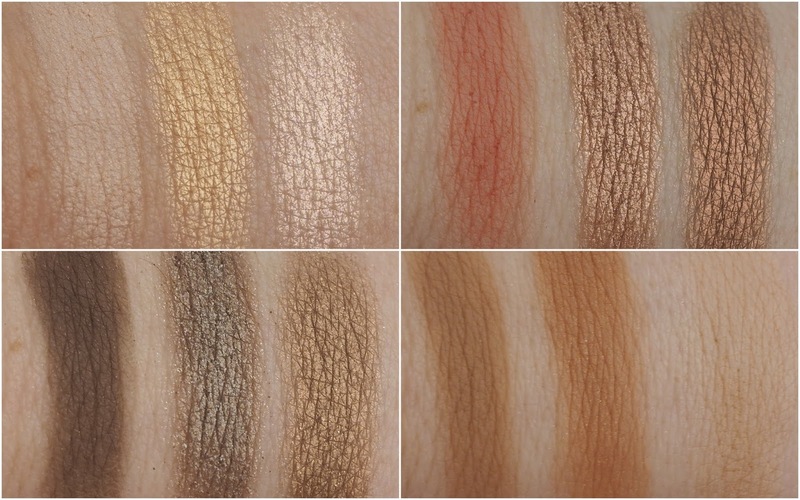 Urban Decay Naked Reloaded Palette review, photo, swatches, video, comparison! When I first heard that Urban Decay where retiring the original Naked palette, I had all the sad feels because when it was released way back then, I think it changed the game when it came to eyeshadow palettes. It was one of those "one palette does all" things and then they started bringing out more and more and more! And now we have the Urban Decay Naked Reloaded palette.... When I first saw it, I'm not going to lie, I thought ah I won't need that, sure it's pretty much the same as the original one. I was wrong. Continue to read please ok thank you. This is what she looks like and if you're a fan of daytime appropriate, soft nudes with warmth and shimmer, then you're going to love this. Keep reading so you can see what the shades look like compared to the original Naked palette. I love the fabric packaging as it's a lot more streamlined than any of the other Naked palettes, but I wonder about how messy it will get and how easy it will be to clean. Only time will tell! It doesn't come with a brush either which makes me happy because I aways lose them and they take up valuable space. I've swatched all of the shades below and if you continue down, you'll see two looks I created along with a video showing the palette in action too. There's a good mix of mattes and shimmers and most of them performed really well on me. The shade Reputation (top row in the photo below, second from the right), applies better with the finger and the same goes for the shade Dreamweaver (bottom row second from the left). That one was the driest and chunkiest of the lot, but applied better by smoothing it over with my finger. For me, this is a really easy to wear palette. I can't see myself doing anything too dramatic with it and that's grand with me! I love palettes that I can whip on on a daily basis and this is exactly that. If you want to see what shades I used to create the really easy looks below, scroll down and watch the one minute Instagram video. 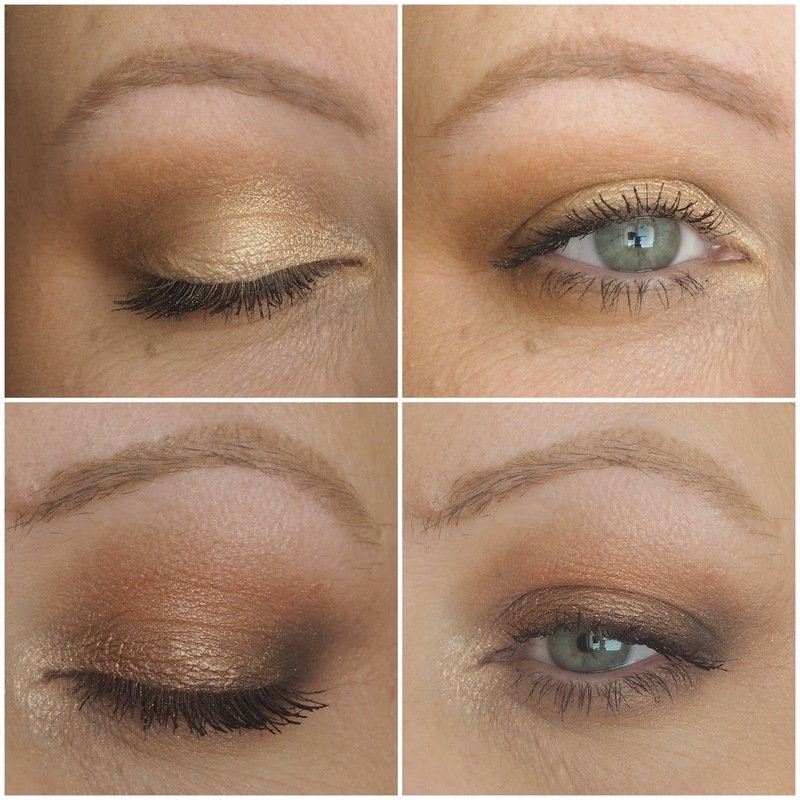 I wore these two looks for the whole day after filming and without having primed my lids, the shadows stayed put all day with no fall down. The shimmers are so smooth when applied to the lids which I just love because while I do love a bit of glitter, sometimes it's a bit too much for me for first thing on a Monday morning! Now to compare the original palette and the reloaded palette. Now my original one is millions of years old and in terms of texture, the shimmers on that one were a lot easier to work with using a brush, but the finish wasn't as subtle or grown up. I love the addition of that bright coral shade Retro to the reloaded palette and there are definite leanings towards the more rose gold end of the colour spectrum with it. So I don't think it's a replacement palette at all, it's more of an updated version and I love it. The Urban Decay Naked Reloaded palette is currently on sale on the Debenhams website at €38.25 down from €45, so there is a bargain to be had! Will you be picking it up?